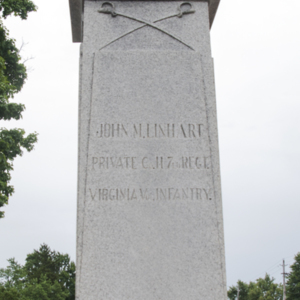 A 2nd U.S Cavalryman stands proud atop a tall square obelisk-like column holding a rifle upright with the stock resting on the ground and the barrel pointed towards the sky. 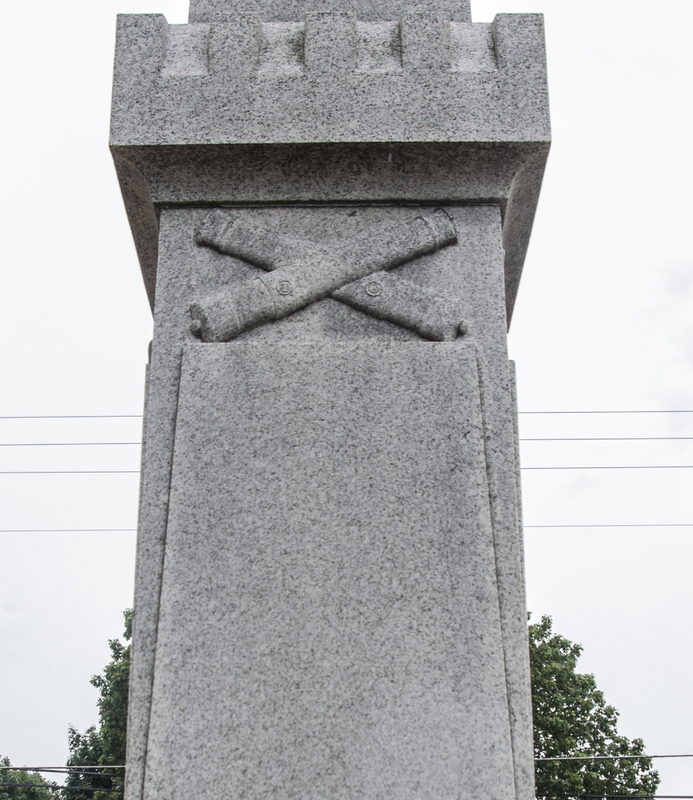 His proper left hand holds the barrel right above his proper right hand. 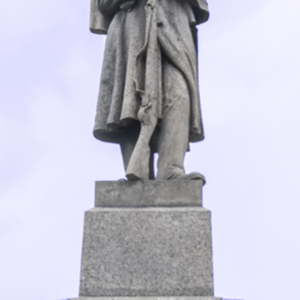 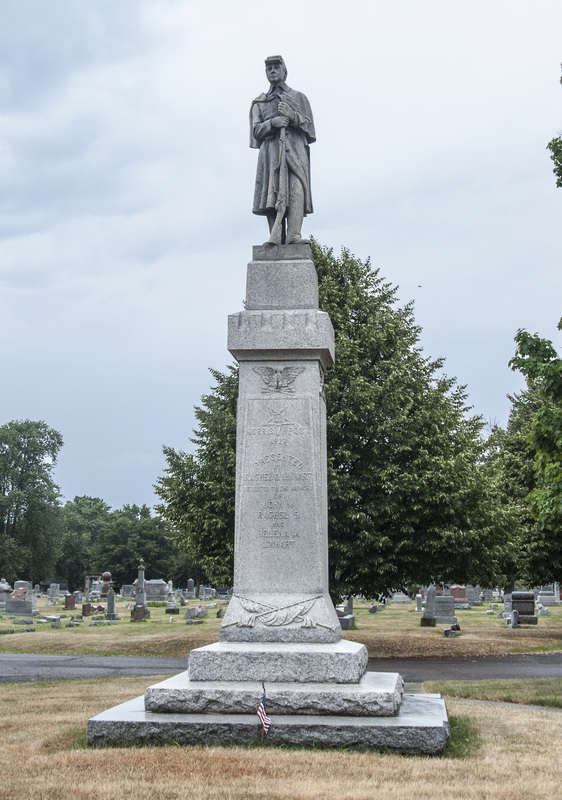 This depiction of a Civil War serviceman is a common rendition that is frequently used on Civil War memorials all over the United States. 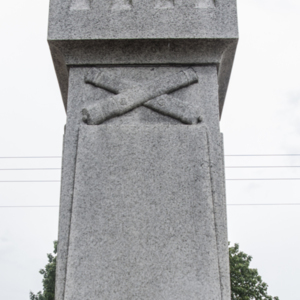 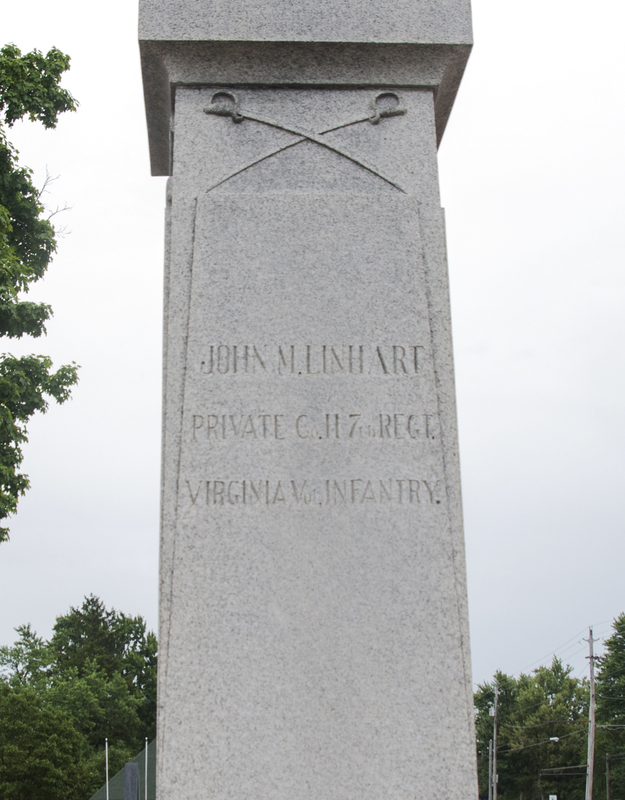 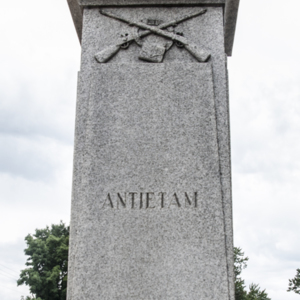 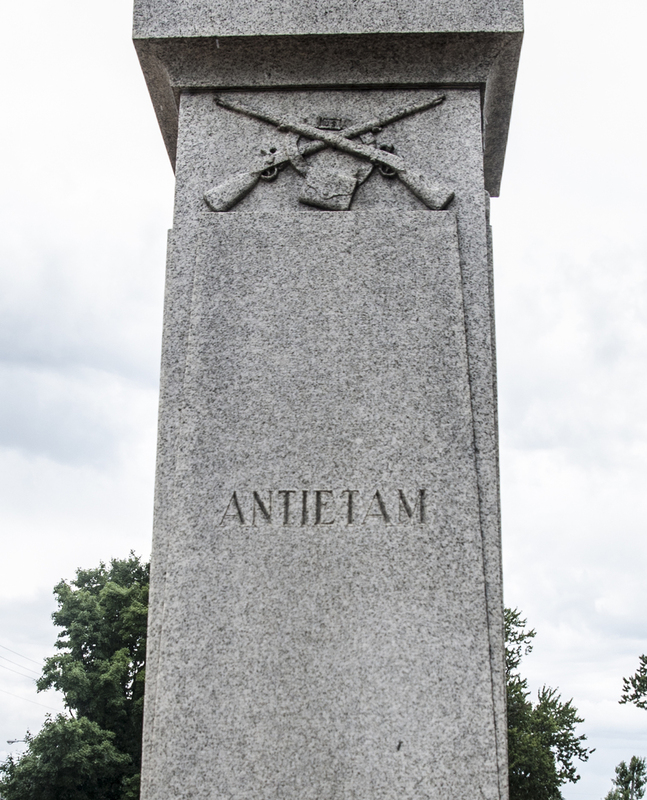 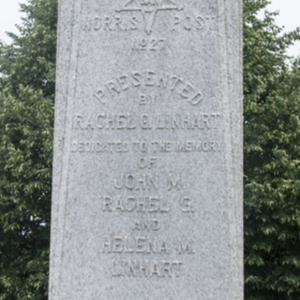 : “Civil War Memorial of Fountain Cemetery,” Ohio Outdoor Sculpture Inventory, accessed April 18, 2019, http://oosi.sculpturecenter.org/items/show/1550.